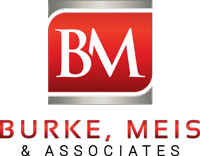 If you have been charged with aggravated vehicular homicide, contact Burke, Meis & Associates. Attorney Adam Burke of Burke, Meis & Associates is an experienced and knowledgeable criminal defense attorney who can help you through this difficult situation. After speaking with him you will understand the charges against you and the keys to your defense strategy. Contact Attorney Adam Burke for your free consultation today at (614) 280-9122. Ohio defines Vehicular Manslaughter as a death caused by a driver violating a minor traffic ordinance. Vehicular Manslaughter is considered the least serious of the three fatal accident offenses. speeding in a construction zone. Vehicular Homicide is considered a more serious offense than Vehicular Manslaughter. an OVI (an Ohio DUI) or similar offense. Ref: ORC § 2903.06(A)(1). Aggravated Vehicular Homicide is “aggravated” because the Vehicular Homicide offense is made worse by the fact that it is caused by alcohol or reckless conduct. Aggravated Vehicular Homicide is considered the most serious of the three fatal accident offenses. Under Ohio Law, DUI Related Aggravated Vehicular Homicide can be caused by a driver, pilot, or boat operator while committing a DUI or equivalent violation. Depending on your criminal and traffic record, a conviction is treated as a felony of the first or second degree and carries a mandatory prison term of 2 to 15 years. A first degree felony is the highest level of felony under Ohio law. If you have been charged with aggravated vehicular homicide in Columbus, Ohio, contact Burke, Meis & Associates to discuss your case with an experienced and effective Columbus Criminal Defense Attorney. Call Burke, Meis & Associates at (614) 280-9122 for a free consultation about your aggravated vehicular homicide charge in Franklin County and any of the surrounding areas in Ohio.